Kahlil Gibran, in his well-known poem about children, says, “Your children are not your children / They are the sons and daughters of life’s longing for itself.” By this, Gibran means, among other things, that children are not parents’ property, but rather have their own independent lives and destinies. As separate human beings, children are deserving of our deepest respect. These watchwords are especially important when considering appropriate discipline methods for managing children’s misbehaviors. An approach to discipline that embodies this kind of respect for children has its origins in the work of Alfred Adler, an Austrian psychiatrist who was at one time a disciple of Sigmund Freud. Adler and his colleague Rudolf Dreikurs, an American psychiatrist, believed that all children’s behavior was bent on achieving two goals: to feel a sense of belonging and to be significant. Children who misbehave are trying to reach these two objectives, but they mistakenly believe that they can attain these goals by engaging in activities seen as troublesome or disturbing by those around them. An important first step in helping children learn more appropriate ways of behaving resides in discovering the real reasons behind a child’s misbehavior and then dealing with the underlying need. A specific instance of misbehavior can outwardly look like any these four types. So, for example, when Susie knocks the flowerpot off the table, she could be saying “Pay attention to me!” or “I’m more powerful than you!” or “That’s what you get for punishing me!” or “I don’t care anymore!” You’ll need to do some problem solving to get at the underlying issue, including a look at your child’s past misbehaviors (is there a pattern? ), a sizing up of the current situation (what events led up to this misbehavior? ), and your own parental intuition. When the issue is attention, you might ignore the behavior or do something unexpected (sing a funny song in response to a child’s attention-getting whining). If the underlying motive is power, then you might need a cooling-off period followed by a problem-solving session to resolve the struggle. If your child seeks revenge, then curbing the urge to retaliate and welcoming cooperation might be ways you could handle the problem. If your child misbehaves because of feelings of inadequacy, then teaching her skills in the area of perceived inadequacy, as well as setting up opportunities for her to experience success, can go a long way toward moving her in a more positive direction. 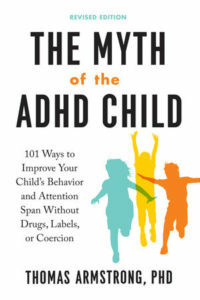 Some parents might think, “Well, my child is misbehaving because he has ADHD not because of these other things, and so he basically just needs medication and behavior modification to control his medical condition.” But just because your child has a diagnosis of ADHD doesn’t mean that he’s any less human or any less subject to the same need to feel significant and have a sense of belonging as any other child. Once you realize that medication, rewards, and punishments don’t really get to the heart of a child’s misbehavior and that all children seek and deserve respect and encouragement, then your relationship with your child will likely improve dramatically. 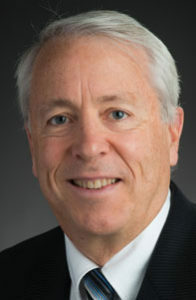 Thomas Armstrong, Ph.D. is the Executive Director of the American Institute for Learning and Human Development, and an award-winning author and speaker who has been an educator for over forty years. Over one million copies of his books are in print in English on issues related to learning and human development.